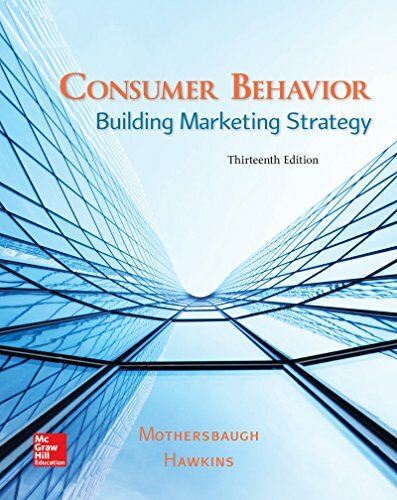 1259232549 –Consumer Behavior: Building Marketing Strategy builds on theory to provide students with a usable, strategic understanding of consumer behavior that acknowledges recent changes in internal and external influences, global marketing environments, and the discipline overall. Updated with strategy-based examples from an author team with a deep understanding of each principle’s business applications, current and classic examples of both text and visual advertisements throughout the text will serve to engage students and bring the material to life. The 13th edition of Mothersbaugh/Hawkins is tech-forward in both format and content, featuring the addition of Connect’s robust digital suite, including SmartBook and other assignable interactives to help students learn, apply, and expand upon core marketing concepts and make assignment management and outcomes-based reporting easy.